April 2011 The boat ride back from the ships at JRRF, after a very long day and a stern shot of the nest where the targets of our efforts were moored. Plus a photo of potential items for removal next visit. March 2011 The first of three volunteer work days this year with the hard-working gang from the Chesapeake Chapter of the USLHS. Who knew shinning brass or chipping + painting was fun!?! And that Overnight Program storeroom is almost done! 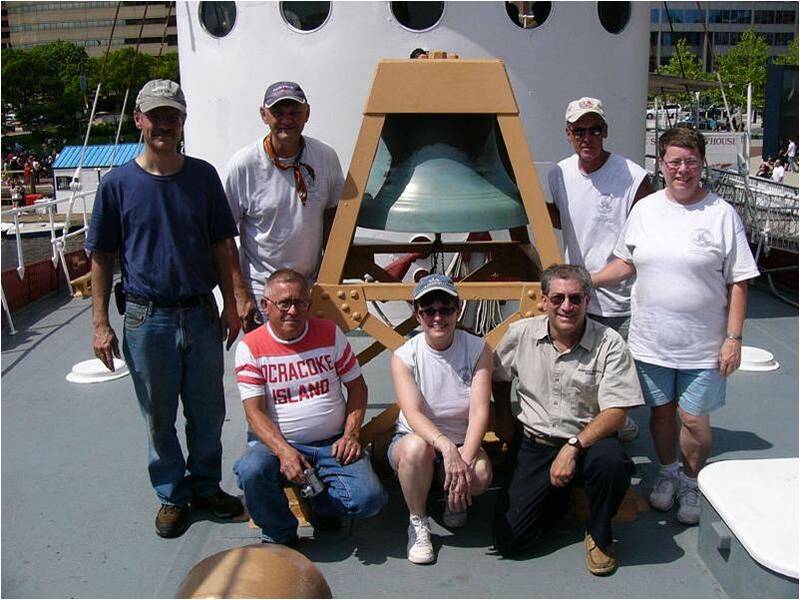 April 2010 Will from DEHM-Slater and Greg from HSIB-Lightship Chesapeake at the end of 2 long days of dragging out salvaged parts from three ships at JRRF. 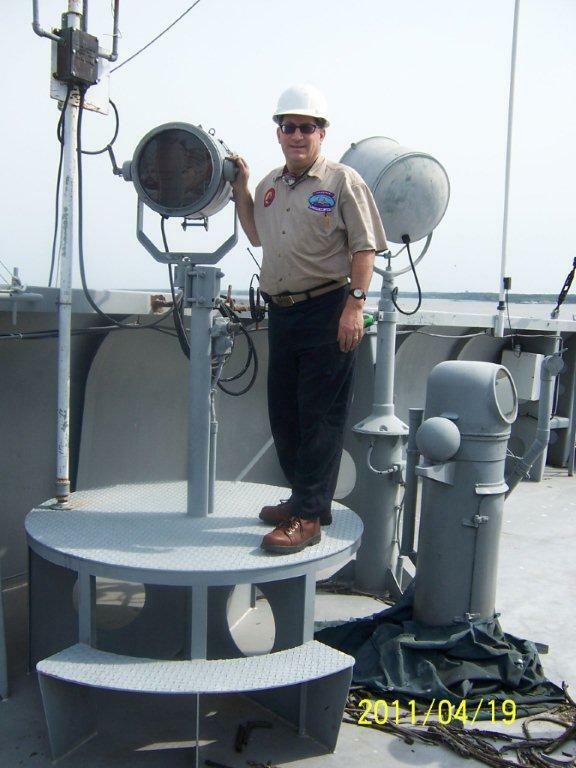 All items that were removed will be used to restore and repair the museum ships Lightship Chesapeake and USCGC Taney in Baltimore and USS Slater in Albany NY.